These striking solid wood doors are part of the court house that sits on the Saskatchewan River bank. Built around the turn of the century, it’s a beautiful example of architecture created in Medicine Hat. 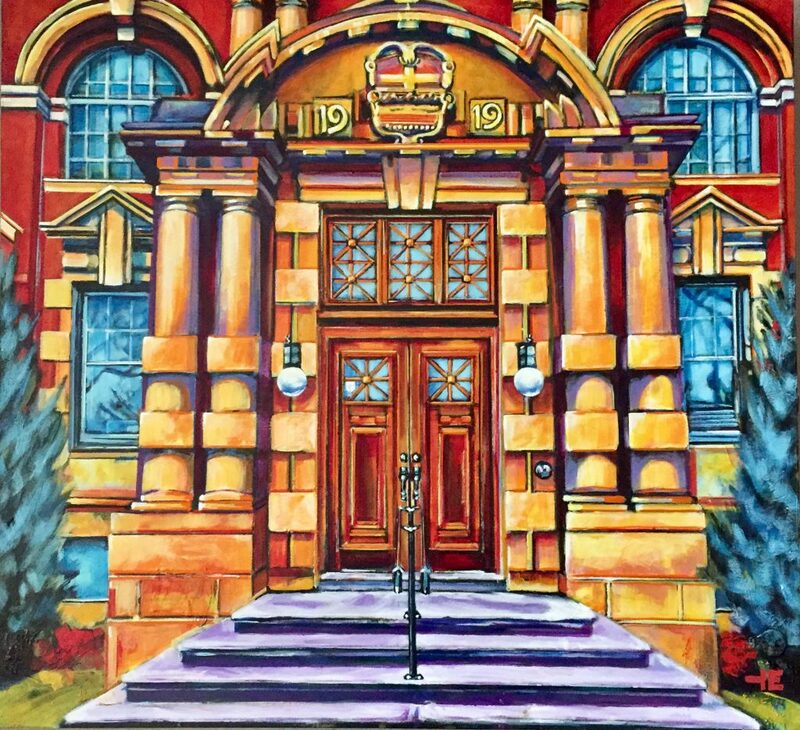 The oldest court house in Alberta had been on my paint list for a while. I’m happy to report I’ve only been inside the building to take photos – I’ve never had to go to court!